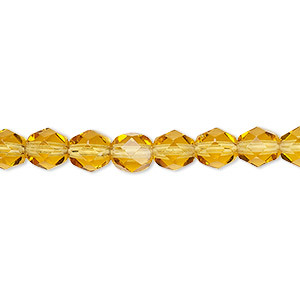 Bead, glass, honey, 6-7mm faceted bicone. Sold per 12-inch strand. 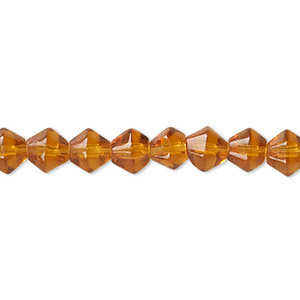 Bead, glass, dark honey, 8-9mm faceted bicone. Sold per 12-inch strand. 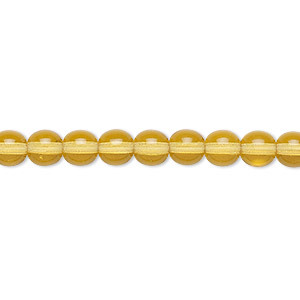 Bead, glass, transparent olivine, 4-5mm faceted bicone. Sold per pkg of (2) 12-inch strands. Minimum 2 per order. 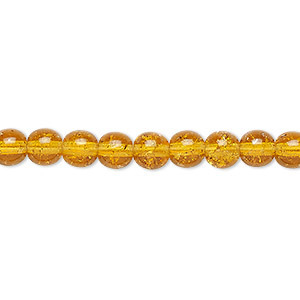 Bead, Czech glass druk, transparent honey, 6mm round. Sold per 15-1/2" to 16" strand. 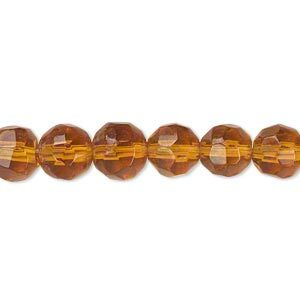 Bead, Czech crackle glass druk, honey, 6mm round. Sold per 15-1/2" to 16" strand, approximately 65 beads.